Warm, waterproof and extra tall for tromping through snow, the Helly Hansen Men's Tundra CWB Boot offers the ultimate in cold-weather comfort and protection. Made with waterproof leather and fully lined with warm felt and faux fur, this men's snowboot is seam-sealed to make it snow and waterproof. 600g Primaloft® insulation keeps feet toasty, while its protective HellyWear toe and heel caps add durability and support. 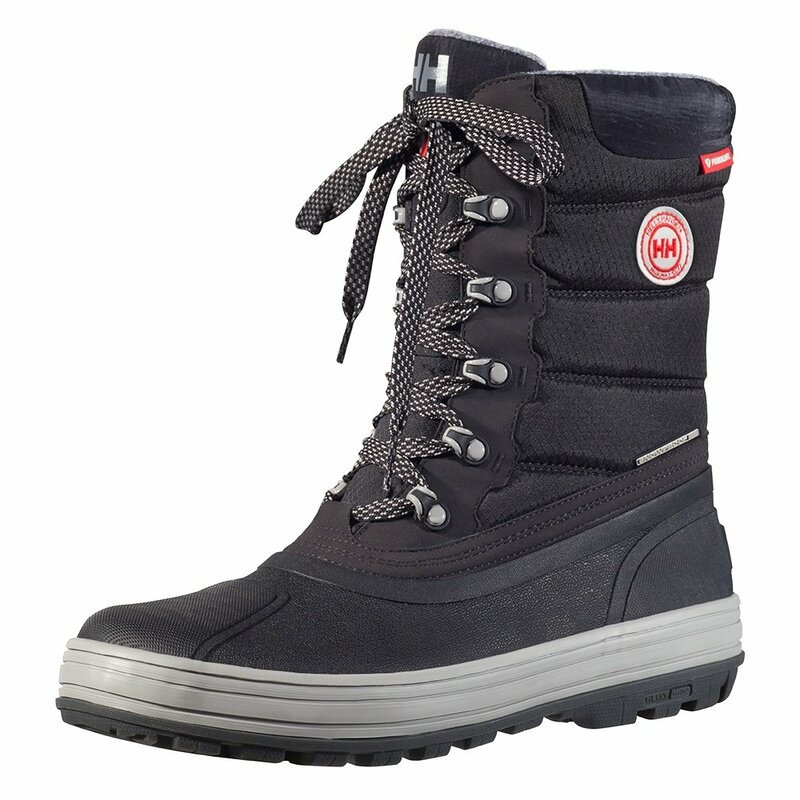 Underfoot, the boot is cushioned for total comfort on hard-packed snow or trails. And there is a metallic foil liner that reflects body heat inward--another guard against the cold. 600g Primaloft® insulation keeps your feet warm.